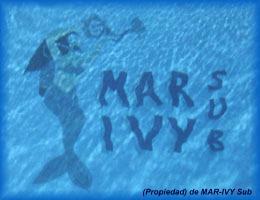 In MAR-IVYSUB ENSEÑANZAS DE BUCEO you will find everything you need to discover the fantastic underwater world in an enjoyable and safe way. 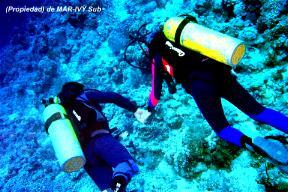 This safety is backed up by more than 20 years experience and hundreds of new divers graduated with no accidents. Safety is our priority. The new technological advances, the modern equipments and designs, the technical support of the new videos and hanbooks and our full-time instructors have turned the sport and recreational diving in an exciting, easy, enjoyable and safe activity, accesible to every healthy person of all ages. 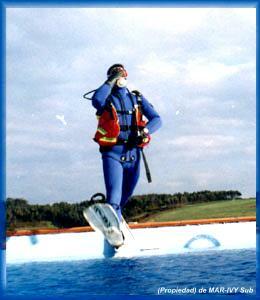 Use of a diving equipment with compressed air. Immersions up to 20 metres with an instructor. No final examination The same as the one star diver. No final examination The same as the two star diver. Having the deep-sea speciality and with highly experienced divers and instructors, you can have immersions up to 60 metres. Our courses will tutor you to the official examinations, diplomas and certificates in the best conditions. In these courses (all levels) you will get both national and international CMAS (Worldwide Confederation of Underwater Activities) certificates. 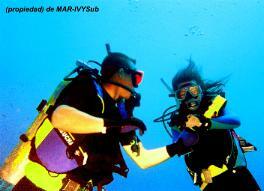 ·Updating and refreshment courses for those who have not dived for a long time. For everybody, all ages !! For those who have interest in breathig under the water and feeling the weightlessness, there is nothing better than a submarine baptism in the swimming pool, in the sea or in both of them, with the help of our instructors. Come on! It is very easy, safe and cheap. You will have your own equipment. You will also get your certificate. CHILDREN ARE OUR SPECIALITY !! !